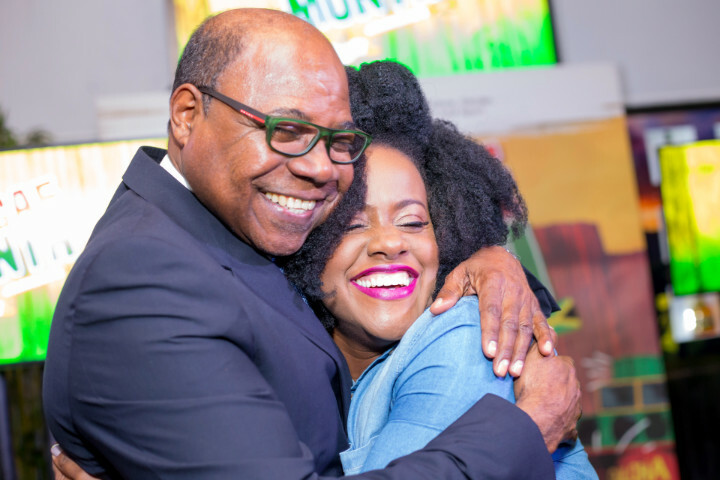 Tourism Minister Edmond Bartlett shares a moment with reggae songstress Etana at the launch of Reggae Month 2018 held at Ribbiz Unltra Lounge in Kingston. Kingston, Jamaica - Reggae Month Celebrations shift into high gear this week as The Ministry of Tourism and the Ministry of Culture, Gender, Entertainment and Sport, along with industry stakeholders, recognize a month long series of events to celebrate Jamaica’s musical influence locally and internationally. 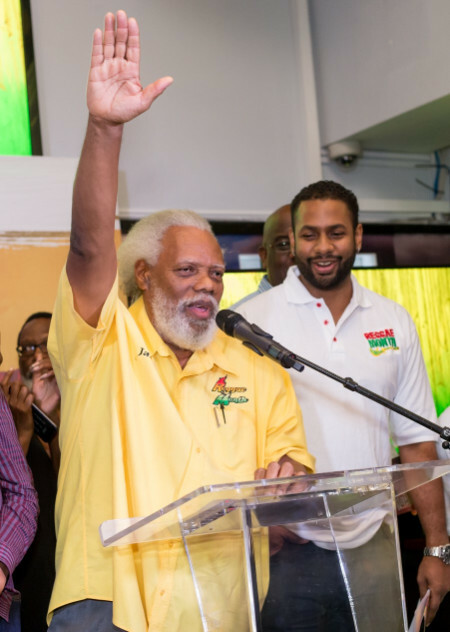 The events centered around edutainment will reflect this year’s theme Peace, Love, Reggae and will include lectures, concerts, parties, public speaking seminars and award ceremonies. This week, the King of Reggae takes center stage. The Legend’s 73rd birthday celebrations will this year be marked by a day of activities and a grand concert at The Bob Marley Museum, his former residence - 56 Hope Road- featuring a myriad of reggae entertainers including his son Stephen Marley and Grandson Skip Marley. Chairman of the Jamaica Reggae Industry Association (JaRIA) Ibo Cooper, pledges to provide the best experience to guests at the launch of Reggae Month. (background) Chairman of the Sports and Entertainment linkages network Kamal Bankay looks on. The birthday celebrations have been extended to include several cultural experiences at the museum, from the blowing of the Abeng, to rich discussions on the global impact of Reggae, Rastafarianism and Marley’s philosophy. "Reggae month is officially here and we couldn't ask for a better start to the month than the celebration of the King of Reggae, Bob Marley’s birthday. Bob Marley embodied everything we would like to promote for reggae month; he was about peace, love and bringing people together through his music, regardless of race or gender. It’s an honor to be a part of an initiative that honors icons in this way and we encourage the public to come out and celebrate with us" explained Kamal Bankay, Co- Chairman Reggae Month/ Chairman of Sports and Entertainment Network of the Ministry of Tourism. Reggae month activities continue with Reggae Wednesdays at Mandela Park February 7 and on February 8, with JaRIA’s Open University at Edna Manley College of the Visual and Performing Arts starting at 6pm.